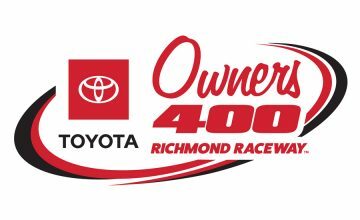 Texas Motor Speedway proved to be kind to a number of the smaller teams during the NASCAR Xfinity Series My Bariatric Solutions 300, including TJM and his B.J. McLeod Motorsports team. Martins who qualified his No. 99 Diamond Gusset Toyota Supra to 24th starting position, would finish Stage 1 in the 30th position, but gain some ground as Stage 2 came to an end, finishing a few spots better in 27th. The 32-year old was able to keep the car clean and keep gaining positions through-out the last stage and cross the checkers to a 19th place result. Martins 19th place finish not only helped him earn back-to-back Top-20’s after finishing 20th at Fontana but it marks the first time he’s earned two Top-20’s in a row in his NXS career. That’s not all though, Martin’s finish at Texas marks BJMM best finish of 2019 thus far and his own personal best finish on a 1.5-mile track. I recently had the opportunity to ask TJM some questions following the race at TMS. Here is what he had to say. Sarah Handy: P19 at Texas! That’s back-to-back Top-20 finishes for you. Overall, what are your thoughts on the race? How was the car? Tommy Joe Martins: It was an eventful haha. 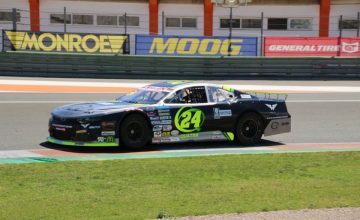 We had to go to the back of the field after a solid qualifying effort (24th) because of an unapproved adjustment, then my window net fell down 2 laps into the race. Luckily, we caught an early caution. We really struggled through the first segment. I even had to block Christopher Bell to keep from going two laps down in the first stage, he really cut me a break on that one haha. We decided to turn it into a fuel strategy race, took a few wave-arounds, adjusted on it, & finally put ourselves in a position to take advantage on that last restart to wind up where we did. It was a big rebound day. SH: Speaking of race finishes, your finish at Texas is the best finish for B.J. 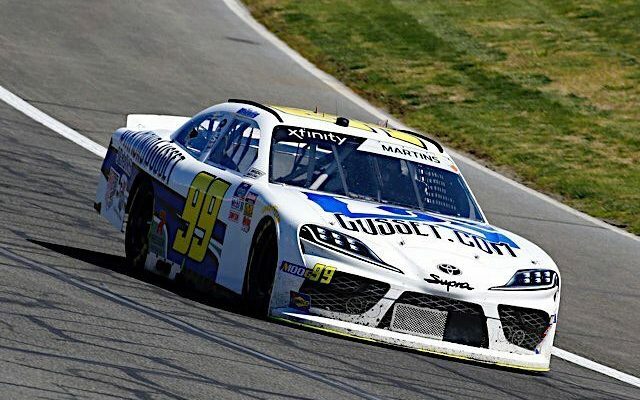 McLeod Motorsports so far in 2019, that must make you feel good to see that result? TJM: It does! I’m the veteran of the team & I know it’s up to me to be a leader and score points every week. Back to back top-20s is big. Shows what we want to do every week. SH: You had 3 Top-20 finishes total in 2018, you’re already on pace to not only tie that but beat that total. It certainly seems like the team is headed in the right direction, would you agree? TJM: There’s still some things to clean up execution wise but it definitely feels like we’ve rebounded from where we were to start the year. My car (the 99) was as far down as 37th in the owners points standings – now we’re all the way back up to 29th. Headed in the right direction. All props to the guys on the team & my crew chief Kevyn Rebelledo for not giving up on it. SH: When is your next race on the NXS schedule? TJM: I’ll be at Bristol this weekend! Can’t wait. Home race for our sponsor Diamond Gusset Jeans – they’re from Nashville, TN. Fantasy Note: In two previous starts at Bristol Motor Speedway, Martins has a career best finish of 26th which came last season.